* The Bio-Belt 7000mx wraps around the abdomen and lower back with belt velcro. * Convenient to contour on body parts such as the knees, neck, waist, belly, and back. The Biobelt 7000mx wraps around the abdomen or lower back and comes in two sizes. Convenient to contour on body parts such as the knees, neck, waist, belly, and back. 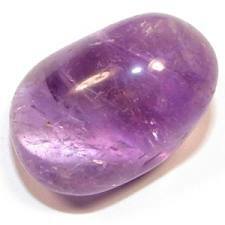 Contains 8 precious stones: Amethyst, Green Jade, Tourmaline, Crystal, Citrine, Topaz, Tiger Eye, and Elvan. The far infrared can help relieve lower backaches while sitting in a chair. Comes with the controller box, and Biomat Health User Guide. The Biobelt is perfect for the busy individual who wants to wear it while working, driving, or watching TV. If you really want to wrap and contour the Biomat into a specific part of the body, the Biobelt is ideal. We have carefully selected the most effective semi-precious stones to enhance the power of the Biobelt. The far infrared energy generated from these stones will gently penetrate your body providing warmth and comfort.The gemstone layer will blast you with far infrared rays. The TOCA layer generates strong negative ions. The Quantum Energy layer gives off far infrared energy and contains substances from peach and grape seeds, and our Nano Copper fabric provides EMF protection by greatly reducing harmful EMF's. The Biobelt produces far infrared rays, which are invisible waves of heat that have the ability to permeate deep into the body. These rays gently raise the surface temperature of the body, which is believed to enhance body functions on multiple levels. There have been numerous studies identifying the benefits of far infrared. A study published in the Journal of the American College of Cardiology has found far infrared sauna therapy improves cardiac function and clinical symptoms in those with Chronic Heart Failure. The authors concluded that repeated treatment improved vascular endothelial function. (2) Note: these studies apply to infrared energy, and were not performed using the Biobelt. The far infrared rays emitted by the Biobelt permeate the body deeply. The Biobelt can be used on ailing body parts such as the lower back and knees, neck, as well as the belly region. You can wear it while relaxing and watching movies, working at your desk, or driving your car. If you are undergoing knee surgery, or knee injury, try wrapping the Biobelt around the knees for pain relief. Since the back serves as the central axis of our body, it is very sensitive. Most backaches result from excessive workouts and incorrect posture. Therefore, by limiting extreme workouts, correcting bad posture, and applying far infrared radiant heat to the back, the backaches can be relieved. The Biobelt contains eight different types of gemstones. **Orders with regular ground shipping go out Tuesday – Friday. Orders arrive in 7 – 14 business days (excluding weekends/holidays). ** The shipping services we use usually do not ship on Saturdays, Sundays and holidays (even for expedited shipping), so the actual delivery date may differ from the estimated transit time. Orders for items that are in stock are usually shipped within 48 hours of credit card settlement excluding weekends and holidays. We can not guarantee the date and/or time of delivery due to the possibility of unforeseen circumstances. Delivery dates provided are estimates only. Your order may be delayed if your shipping address is different from your billing address. This additional processing time is used to help ensure the security of your credit card information. All items shipped via UPS require a signature for delivery. If you are not available on the first delivery attempt, a note will be left with instructions on how to receive your order. A total of three attempts are made before it is returned to the warehouse. If the package is in transit to the warehouse and you would still like to receive your order, you will have to pay the shipping fee for those items to reship. Once an order is charged/paid for, it must be shipped out for delivery within the delivery time-frame. We can not “hold” submitted orders for processing or delivery on a designated date. Order should be submitted with consideration to the processing and delivery times stated. All items are shipped individually. Deliveries cannot be made to APO/FPO/PO Box addresses. Once your item has shipped, you will receive the UPS tracking information via email. All orders being shipping to the Hawaiian Islands must include a 4.712% general excise tax. OAHU, – IN STORE PICKUP All orders being picked up at the warehouse in Oahu must include a 4.712% general excise tax. Orders for items that are in stock are usually available for pickup within the same day of credit card settlement excluding weekends and holidays. INTERNATIONAL SHIPPING (EXPEDITED AIR) Orders for items that are in stock are usually shipped within 48 hours of credit card settlement excluding weekends and holidays. Orders are shipped after credit card settlement. These orders typically ship out Tuesday through Friday. Estimates for international shipping are provided, but due to fluctuation in international rates, a representative will call you after you place your order to confirm the final shipping rate if it’s different than what is on the website. The shipping quote for European Union Member States does include the Value-added Tax (VAT). VAT is to be included with your order at time of ordering. There are no customs and duty tax due to the EU-South Korea Free Trade Agreement. Note: For Non-European Union Member Countries within Europe, our shipping quote does not include import fees such as customs and duty tax, VAT, brokerage fees, any other additional fees on any pickup/delivery charges. Import fees are the responsibility of the recipient and due upon delivery to the recipient. Please check with your country’s customs department for estimates or more info regarding these fees. Orders for items that are in stock are usually shipped within 48 hours of credit card settlement excluding weekends and holidays via UPS. Orders are delivered up to 5-7 business days (without customs delays) after credit card settlement. Barring exceptions, these orders ship out Tuesday through Friday. There are different prices for shipping costs and VAT cost according to the zone in Europe you are in. We will contact you if the price listed on the website differs from delivery cost to your address. For China shipments, the quotes provided include import fees such as customs/duty tax and VAT. Import fees for these items are the responsibility of the recipient and due upon delivery to the recipient. Please check with your country’s customs department for estimates or more info regarding these fees. Note: At this time the Biobelt, and Detoxi Salt cannot be shipped to China. YTO Express Shipping Service Orders for items that are in stock are usually shipped up to 5-7 business days after credit card settlement excluding weekends and US/China holidays. Barring exceptions, these orders ship out Tuesday through Friday. Our shipping quote for Australia does not include import fees such as customs and duty tax, VAT, brokerage fees, any other additional fees on any pickup/delivery charges. Import fees are the responsibility of the recipient and due upon delivery to the recipient. Please check with your country’s customs department for estimates or more info regarding these fees. EMS/Australia Post Shipping Service Orders for items that are in stock are usually shipped within 48 hours of credit card settlement excluding weekends and holidays. Orders are delivered up to 7-14 business days (without customs delays) after credit card settlement. Barring exceptions, these orders ship out Tuesday through Friday.